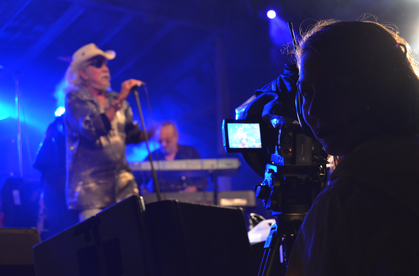 I, Ashley Brazeau, have experience in professional live DVD editing & screen production services. Have worked with Merle Haggard, Dean Brody, Jason Blaine, Dr. Hook, SAB, Ambush, Kelly Prescott, Tracey Brown & Randall Prescott, Georgette Jones, Michelle Wright, Corb Lund, The Fitzgeralds & Irish Descendants plus many other great artists. Aside from doing screens & live editing, I also provide private services to help you create short promotional videos you can use in social media or on your website, YouTube, Facebook and other social media networks. Videos and slideshows are a great way to get people's attention and can be shared all over the world using today's wonderful technology and Internet. We may also sponsor potential athletes, artists and events in exchange for your assistance in sharing the video on your social media.